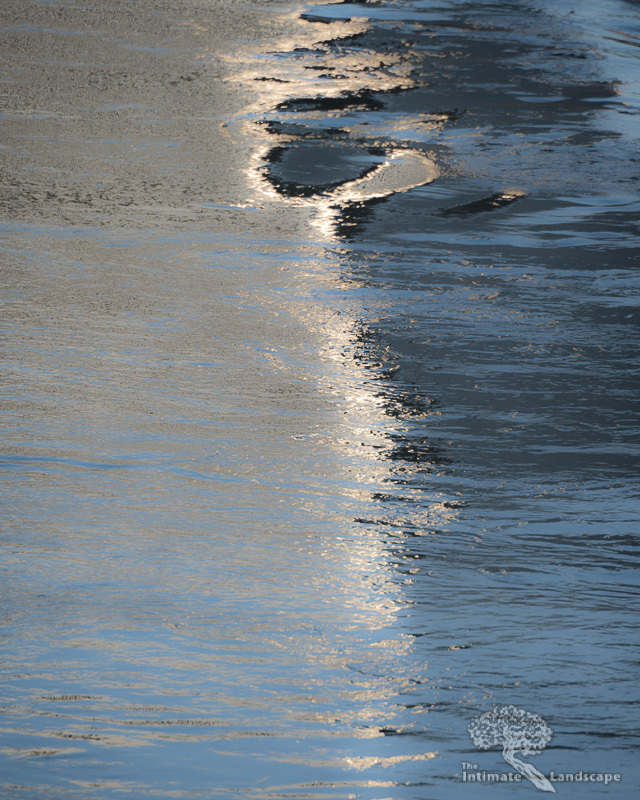 An abstract reflection cast in the James River. The motion of the water blurs the details of the reflections. The image above is the light reflecting off the Federal Reserve building in downtown Richmond, VA, being reflected in the James River. The motion of the water has been frozen by a relatively fast shutter speed, rendering the building’s reflection as a collection of dots distributed across the water. Photographic pointillism, to coin a phrase. I’ve posted another version of this image earlier (here) using a longer shutter speed to blur out the individual points making up the reflection as the water moves past, but I’m rather fond of this version as well. I like the texture and the fact that the faster shutter speed, while creating an entirely different look to the image, still retains the abstract characteristics. Taken with a Nikon D800 and a Nikkor 80-400 mm zoom lens. The exposure was 1/125th sec @ f/5.6, ISO 100. This entry was posted in James River, technique and tagged abstract, flow, James River, river scenes, water.